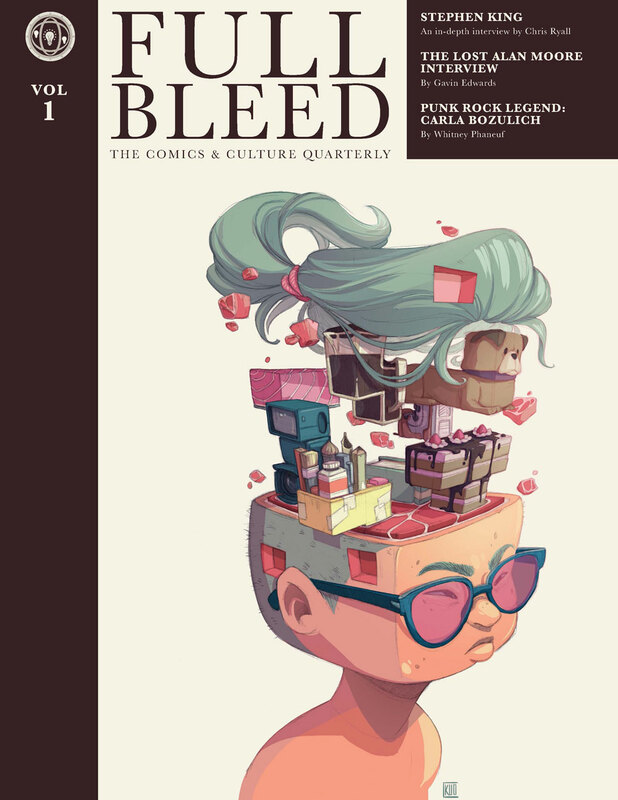 IDW Publishing has launched a Kickstarter for Full Bleed, a hardcover “magazine” curated and edited by IDW Publishing’s Dirk Wood and CEO and Publisher Ted Adams. This is the first project coming out of their Portland, Oregon office, which was announced late last year. 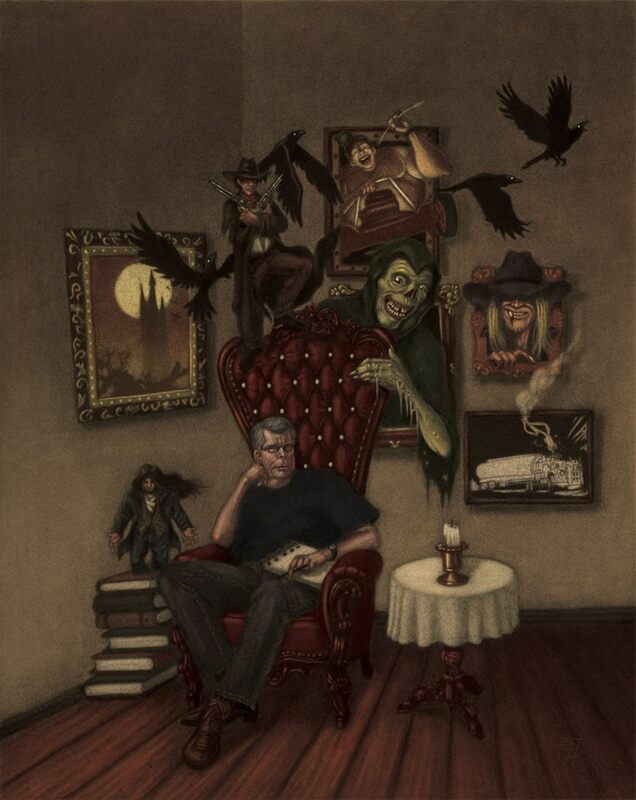 The first issue will feature an interview with novelist Stephen King conducted by IDW’s Chief Creative Officer Chris Ryall, a “lost” interview with writer Alan Moore conducted by Gavin Edwards in 2006 for Rolling Stone, a new short story from Joe R. Lansdale with illustrations from Scout creator Tim Truman, a new comic strip by Too Much Coffee Man creator Shannon Wheeler and much more. Pledging $25 will get you a copy of the first issue, while retailers with a Diamond account can get two copies of the first issue for $25. The books will go out with their regular Diamind orders, which may make this the first Kickstarter fulfilled by the comics distributor. They’re also offering prints, pins and subscriptions to Full Bleed at other donation levels. Visit their Kickstarter page for more information.